New review! 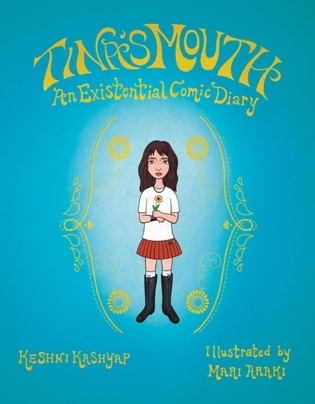 This time I had a chance to read Keshni Kashyap‘s witty comic ‘Tina’s Mouth- an Existential Comic Diary‘. It’s about an Indian-American high school student whose English project is to keep a diary on existentialism. I went to some pretty straight forward schools in India where all we did was sit and listen to our teachers read aloud from textbooks. It was only until I moved to Madras and went to Sishya that I was in a school where teachers worked really hard to engage us. Point being, I really like how in this book the teacher tries to engage his students by creating innovative projects. I mean existentialism is a pretty heavy topic. My first encounter with it was when I was read Sophie’s World by Jostein Gaarder, which is basically a book about a young girl who starts receiving mysterious postcards from an anonymous source. 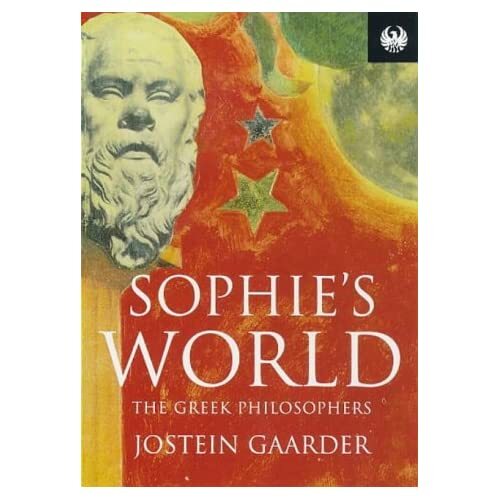 The first one simply asks, ‘Who are you?’ The book then sees Sophie pretty much take a whirlwind tour of the history of philosophy. Her anonymous source is a philosopher called Albert Knox (whom she doesn’t meet or know anything about yet) and he acts as her philosophy tutor teaching her about all the great philosophers from Plato to Descartes and Kierkegaard. It was very engaging and to me, at the time 17, pretty mind-blowing. The climax- about the nature of reality, gave me goosebumps. I’m not sure how much I would like the book as an adult though and that’s the same way I felt about Tina’s Mouth. I think, though, that teenagers would like it. The book greatest strength is Kashyap’s writing. Here’s an excerpt of my review. Click here to read the full review at Hyphen Magazine.